It’s so great to receive my giveaway prize from Murad Malaysia just now. I got myself a sample set of Murad Age Reform skincare which I am going to try for a few weeks before I make a review about this skincare product. Thank you, Murad Malaysia. It’s a pleasure to receive such a great product from you! I can hardly wait to write a review about this skincare! The prize comes with refreshing cleanser, day cream, and… a multi-function pedometer (inside the brown box). Hooray! Thank you sooo much, Murad Malaysia! I’m very impressed with their packaging. It looked so great. Might as well going to let my hubby try on it. LOL! 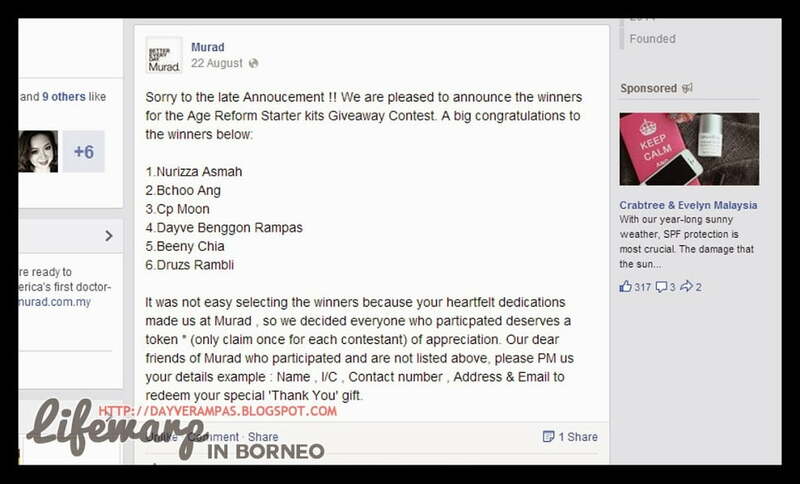 You may read here about the previous giveaway contest held by Murad Malaysia. Don’t forget to hit the LIKE button on their page for latest updates on their products or contests! 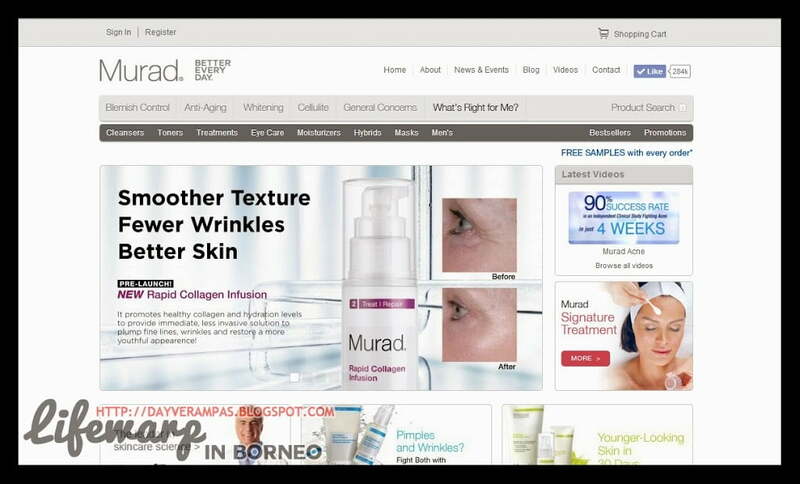 Feel free to check for their latest products at Murad Malaysia website today! They have a friendly-user website which is easy to navigate, and with lots of information, too!